The information in this UserвЂ™s Manual has been carefully reviewed and is believed to be accurate. manual, please see our web site at www.supermicro.com. described in this manual at any time and without notice. This product, including software and documentation, is the property of Supermicro and/or its licensors, and is supplied only under a license. claims will not exceed the price paid for the hardware product. 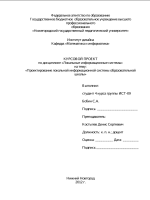 copy any part of this document. Copyright В© 2010 by Super Micro Computer, Inc.
generation point-to-point system interface that replaces the current Front Side Bus. and unprecedented scalability optimized for HPC/Cluster and high-end 4U servers. Chapter 1 describes the features, specifications and performance of the motherboard and provides detailed information about the chipset. system. If you encounter any problems, see Chapter 3, which describes troubleshooting procedures for video, memory and system setup stored in the CMOS. running the CMOS Setup utility. 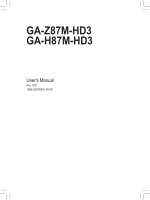 the Windows OS and Other Software Installation Instructions. and to prevent product damage or bodily injury. or to prevent damage to the components. 4F, No. 232-1, Liancheng Rd. listed here is damaged or missing, contact your retailer. The following items are included in the retail package. the graphics shown in the manual. jumpers or components, refer to Chapter 2. 2. " " indicates the location of Pin 1.
unplug the power cables before removing or installing components. adequate airflow to your system. Unbuffered ECC/Non-ECC memory, maximum of 4 GB per DIMM is supported. Note: This is a general block diagram. Please see the previous Motherboard Features pages for details on the features of each motherboard. Front Side Bus Technology, substantially enhancing system performance by utilizing serial link interconnections with increased bandwidth and scalability. links, one going to the other processor, and the other to the 5520 chips. transactions. The ICH10R provides multiple PCI-Express SATA and USB connections. memory sparing, and Hot-plug support on the PCI-Express Interface. Setup section to change this setting. The default setting is Last State. an onboard System Hardware Monitor chip that supports PC health monitoring. the sensitivity of the voltage monitor. Hardware Monitoring in the Advanced Setting). circuitry can monitor the overall system temperature and alert users when the chassis temperature is too high. temperatures, voltages and fan speeds go beyond a pre-defined range. CPU will wake-up and the LED will automatically stop blinking and remain on. power surge protector to help avoid problems caused by power surges. 8-pin PCI-Exp. Graphic card power connectors (JPW2/JPW3) to work properly, please customize your power cables based on the SMC PWR Connector Pin-Out Definitions listed in the tables on Page 2-20 in Chapter 2.
fan control, Platform Environment Control Interface (PECI) buses. Note: For more information on IPMI configuration, please refer to the Embedded IPMI User's Guide posted on our website at http://www.supermicro. measures are generally sufficient to protect your equipment from ESD. chips, memory modules or gold contacts. unpacking the board, make sure the person handling it is static protected. All motherboards have standard mounting holes to fit different types of chassis. the motherboard to the chassis. 1. Install the IO shield into the chassis. above for mounting hole locations. the mounting holes on the chassis. 4. Install standoffs in the chassis as needed. 5. Install the motherboard into the chassis carefully to avoid damage to motherboard components. installing a screw into a mounting hole. matching mounting hole on the chassis, using a Phillips screwdriver. 7. Repeat Step 4 to insert #6 screws to all mounting holes. 8. Make sure that the motherboard is securely placed on the chassis. the label area of the fan. processor into the CPU socket before you install the CPU heatsink. CPU heatsink and heatsink fans. the CPU socket pins are bent; otherwise, contact the retailer immediately. 4. Refer to the MB Features Section for more details on CPU support. and south center edges to remove it from the CPU socket. the side of the socket. socket clip down to the clip lock. amount has already been preapplied. the CPU or other components. wires from the CPU fan header. remove it from the CPU socket. rid of the old thermal grease. Note: Check the Supermicro web site for recommended memory modules. memory is interleaved to improve performance (See step 1). along the bottom of the module to prevent inserting the DIMM module incorrectly. 3. Gently press down on the DIMM module until it snaps into place in the slot. For memory to work properly, follow the tables below for memory installation. Note 1: 1333 RDIMMs will run at 1066 MHz (-BIOS automatic downgrading). Note 2: 1333/1066 RDIMMs will run at 800 MHz (-BIOS automatic downgrading). Note 3: MIxing of 1.35V and 1.5V DIMMs is not recommended. Note 1: 1333 MHz for two DIMMs per channel is supported when Unbuf./ECC DIMMs are used. Note 2: MIxing of 1.35V and 1.5V DIMMs is not recommended. MIxing of 1.35V and 1.5V DIMMs is not recommended. more than 4 GB of memory. of RAM is used. The reduction in memory availability is disproportional. the picture below for the colors and locations of the various I/O ports. tables on the right for pin definitions. COM2) are located on the motherboard. the right for pin definitions. used to provide video and CRT display. motherboard to use this feature. use the onboard sound for audio CD playback. the CD header that fits your cable's connector. following section for descriptions and pin definitions. table on the right for pin definitions. activities, including SAS, Serial ATA and IDE. See the table on the right for pin definitions. to the table on the right for pin definitions. on the right for pin definitions. the table on the right for pin definitions. headers (Fan1 ~ Fan10) on the motherboard. LED indicator and pins 4~7 are for the speaker. speaker, please close pins 6~7 with a jumper. See the tables on the right for pin definitions. intrusion when the chassis is opened. layout below for the location. (X)=TPM does not use the signals. SCL, SDAT are I2C bus clock and data. on the printed circuit board. See the motherboard layout pages for jumper locations. Note: On two pin jumpers, "Closed"
means the jumper is on and "Open"
means the jumper is off the pins. the connection. Always remove the AC power cord from the system before clearing CMOS. system, remove the AC power cord and then short JBT1 to clear CMOS. on the right for jumper settings. for jumper settings and jumper connections. the table on the right for jumper settings. There are two GLAN ports on the motherboard. tables at right for more information. the tables at right for more information. ProceduresвЂ™ and/or вЂ�Returning Merchandise for ServiceвЂ™ section(s) in this chapter. 3. Remove all add-on cards. 1. Make sure that no short circuits between the motherboard and the chassis. 2. Make sure that all jumpers are set to their default positions. 3. Check that the 115V/230V switch on the power supply is properly set. 4. Turn the power switch on and off to test the system. 5. The battery on your motherboard may be old. Check to verify that it still supplies ~3VDC. If it does not, replace it with a new one. for details on beep codes. power supply may cause the system to lose the CMOS setup information. Refer to Section 1-7 for details on recommended power supplies. 2. The battery on your motherboard may be old. Check to verify that it still supplies ~3VDC. If it does not, replace it with a new one. 1. Make sure that the DIMM modules are properly and fully installed. 2. Check if different speeds of DIMMs have been installed. It is strongly recommended to use the same RAM speed for all DIMMs in the system. all memory slots and check the results. to follow the instructions given in Section 2-4 in Chapter 2. 6. Check the position of the 115V/230V switch on the power supply. 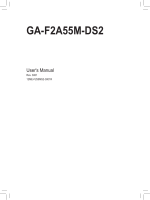 Section 2-4 in Chapter 2 to install your memory modules. configuration that was sold to you. (http://www.supermicro.com/support/faqs/) before contacting Technical Support. 2. BIOS upgrades can be downloaded from our web site at (http://www. An example of a Technical Support form is on our web site at (http://www. e-mail at support@supermicro.com or by fax at: (408) 503-8000, option 2.
in Chapter 2 for DIMM Slot Population. Question: How do I update my BIOS? site. Select your motherboard model and download the BIOS file to your computer. choose the zip BIOS file, please unzip the BIOS file onto a bootable USB device. screen is paused for a few minutes. Note: The SPI BIOS chip used on this motherboard cannot be removed. Question: What's on the CD that came with my motherboard? Windows OS, security and audio drivers. charges will be applied for all orders that must be mailed when service is complete. For faster service, You can also request a RMA authorization online (http://www. During the warranty period, contact your distributor first for any product problems. describes the basic navigation of the AMI BIOS Setup Utility setup screens. setup utility "hot keys" can be used at any time during the setup navigation process. These keys include <F1>, <F10>, <Enter>, <ESC>, arrow keys, etc. Note 1: Options printed in Bold are default settings. <Del> at the appropriate time during system boot. Normally, the only visible Power-On Self-Test (POST) routine is the memory test. the screen below the copyright message. BIOS is updating. This is to avoid possible boot failure. When you first enter the AMI BIOS Setup Utility, you will enter the Main setup screen. top of the screen. The Main BIOS Setup screen is shown below. Version: This item displays the BIOS revision used in your system. Build Date: This item displays the date when this BIOS was completed. CPU Type: This item displays the type of CPU used in the motherboard. Speed: This item displays the speed of the CPU detected by the BIOS. system as detected by the BIOS. This displays the size of memory available in the system. for system boot. The options are Enabled and Disabled. Enabled to display the OEM logo instead of the normal POST messages. The options are Enabled and Disabled. mode set by the system BIOS. The options are Force BIOS and Keep Current. options are Off and On. options are Disabled and Enabled. function as bootable devices. The options are Enabled and Disabled. for more than 5 minutes. The options are Enabled and Disabled. system is in S5 state. The options are Enabled and Disabled. This submenu allows the user to configure the Processor and Clock settings. the components whenever needed. The options are Disabled and Enabled. improve CPU performance. The options are Disabled and Enabled. CPU fetches both cache lines for 128 bytes as comprised if Enabled. are Modern Ordering and Legacy Ordering. in increased CPU performance. The options are Disabled and Enabled. 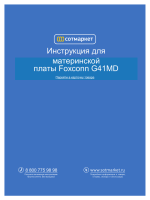 Intel's web site for more information.) The options are All, 1 and 2.
adjust processor voltage and core frequency in an effort to reduce power consumption and heat dissipation. Please refer to IntelвЂ™s web site for detailed information. The options are Disable (Disable GV3) and Enable (Enable GV3). circumstances to improve performance. The options are Disable and Enabled. a Halt State. The options are Disabled and Enabled. If enabled, C-State is set by the system automatically to either C2, C3 or C4 state. register. The options are Auto, C1, C3, C6 and C7. on un-core auto-demote information. The options are Disabled and Enabled. selected by the motherboard. The options are Disabled and Enabled. to run at the frequency as specified. The available options are Auto, Force DDR800, Force DDR-1066, Force DDR-1333 and Force SPD. The options are Independent, Channel Mirroring, and Lockstep. Independent - All DIMMs are available to the operating system. This is a memory error-correction scheme that allows the processor to write corrected data back into the memory block from where it was read by the Processor. for and correcting resident errors. The options are Enabled and Disabled. This feature allows the user to configure the settings for the Intel North Bridge. data transferring. The options are Enabled and Disabled. transferring. The options are Enabled and Disabled. by reporting the I/O device assignments to VMM through the DMAR ACPI Tables. data-sharing. The settings are Enabled and Disabled. and transaction speed. The options are Enabled and Disabled. coalesce feature. Please refer to your add-on card user guide for the desired setting. The options are 256B and 128MB. This feature allows the user to configure the settings for the Intel South Bridge. motherboard, and vise versa. The settings are Disabled, Enabled and Auto. Hi-Speed (480 Mbps) and Full Speed (12 Mbps). Hand-Off support. When enabled, the EHCI Interface will be changed from the BIOScontrolled to the OS-controlled. The options are Disabled and Enabled. AC'97 to use AC'97 for frontside audio. The options are HD Audio and AC'97. options are BIOS Native Module and Intel AHCI ROM. installed in the system. The options are 0 (sec), 5, 10, 15, 20, 25, 30, and 35. These settings allow the user to set the parameters of the IDE slots as specified. Press <Enter> to activate the following submenu items. Set the correct configurations accordingly. This feature allows the user to select the type of device connected to the slot. detected on the slot. Select CD/DVD to configure the slot for CD/DVD devices. Select ARMD to use this slot for removable devices. The options are Not Installed, Auto, CD/DVD and ARMD. LBA (Logical Block Addressing) is a method of addressing data on a disk drive. over 137 GB, your system must be equipped with a 48-bit LBA mode addressing. supports 48-bit LBA mode. The options are Disabled and Auto. sectors at a time if the device supports it. The options are Auto and Disabled. cycle time decreases. The options are Auto, 0, 1, 2, 3, and 4.
this value if the IDE disk drive support cannot be determined. Select 4 to allow the AMI BIOS to use PIO mode 4. It has a data transfer bandwidth of 32-Bits. Select Enabled to enable 32-Bit data transfer. IDE disk drive support cannot be determined. data transfer rate of 2.1 MB/s. data transfer rate of 4.2 MB/s. data transfer rate of 8.3 MB/s. data transfer rate of 13.3 MB/s. data transfer rate of 16.6 MB/s. rate of 133 MB/s. The options are Auto, SWDMAn, MWDMAn, and UDMAn. support hard drive disk. The options are Disabled, Enabled, and Auto. This feature clears the NVRAM during system boot. The options are No and Yes. allow the AMI BIOS to configure all devices in the system. 160, 192, 224 and 248. When enabled, the BIOS uses PCI bus mastering for reading/writing to IDE drives. interfaces for sharing the resources of a PCI Express device under a virtual environment. The options are Disabled and Enabled. Use this setting to enable or disable any of the PCI slots indicated above. The options are Disabled and Enabled. Serial Port2 are Disabled, 2F8/IRQ3, 3E8/IRQ4, 3F8/IRQ4, and 2E8/IRQ3. This feature enables COM2 to act as a virtual COM Port for Serial Over LAN (SOL). The options are COM and SOL. Redirection. The options are COM 1 and COM2. Address/IRQ or Serial Port 2 Address/IRQ in the Super I/O submenu. This feature allows the user to set the serial port mode for Console Redirection. options are None, Hardware, and Software. Loader. The options are Disabled, Boot Loader, and Always. This feature allows the user to select the target terminal type for Console Redirection. The options are ANSI, VT100, and VT-UTF8. terminals. The options are Enabled and Disabled. This feature defines the length of time in seconds to display memory information. The options are No Delay, Delay 1 Sec, Delay 2 Sec, and Delay 4 Sec. the CPU and system cooling fans will run at full speed. 2. To avoid possible system overheating, please be sure to provide adequate airflow to your system. reaches the CPU overheat threshold as predefined by the CPU manufacturer. This feature displays current temperature readings for the CPU and the System. around. This results in better CPU thermal management. run normally as configured in the BIOS (Fan Speed Control). is still within its normal operating state and below the CPU вЂ�Temperature ToleranceвЂ™. fans may adjust to a faster speed depending on the Fan Speed Control settings. and the chassis ventilation for blockage. prevent damage to the CPU. and Fahrenheit) as detected by the BIOS. PF setting is recommended for high-power-consuming and high-density systems. for regular systems with normal hardware configurations. Select "Energy Saving/ES"
Performance/PF, Balanced/BL, and Energy Saving/ES. power management settings for your system. the 8254 Programmable Interval Timer. The options are Enabled and Disabled. Enable ACPI support if it is supported by the OS to control ACPI through the Operating System. Otherwise, disable this feature. The options are Yes and No. S1 (POS), S3 (STR) and Auto. Description Table) pointer list. The options are Enabled and Disabled. When this item is set to Enabled, APIC ACPI SCI IRQ is supported by the system. mouse attached The options are Enabled and Disabled. specified. The options are Yes and No. the system starts. The options are No and Yes. This feature installs or clears TPM ownership The options are Don't Change, Enable Install, Disable Install and Clear. are Don't Change, Enabled and Disabled. are used for hardware health monitoring and system management. For more information on the IPMI specifications, please visit Intel's web site at www.intel.com. This item displays the IPMI firmware revision used in your system. returns the status code of the BMC micro controller. of entries of BMC System Events. information as shown in the screen. to keep the BMC System log. The options are OK and Cancel. Channel Number - This feature displays the channel number. This feature allows the user to select the source of the IP address for the system. is selected, the following items will be available for configuration. value of each three-digit number separated by dots should not exceed 255. 16, 0 ~ 9, A, B, C, D, E, F) separated by dots. (i.e., 00.30.48.D0.D4.60). Use this option to view the System Event Log. This option marks all events as read. The options are OK and Cancel. Use this option to enable logging of PCIe Errors. The options are Yes and No. Select Yes to enable ECC memory error logging . The options are Yes and No. The AMI BIOS provides a Supervisor and a User password. If you use both passwords, the Supervisor password must be set first. Installed" means a Supervisor password has not been used. This item indicates if a user password has been entered for the system. "Not Installed" means that a user password has not been used. No Access to prevent the user from entering the Setup Utility. Select this feature and press <Enter> to enter a new User Password. This item allows you to clear a user password after it has been entered. system to check for a password at bootup. The options are Setup and Always. disk drive. The options are Enabled and Disabled. Use this feature to configure boot priority settings. settings are 1st boot device~5th boot device and Disabled. settings are Disabled and a list of all hard disk drives that have been detected. Use this feature to specify the boot sequence from available Removable Drives. The settings are 1st boot device, 2nd boot device, and Disabled. Drives (i.e., 1st Drive, 2nd Drive, etc). Exit from the Exit menu and press <Enter>. performance, but may not work best for all computer applications. system initialization and complete the bootup process. to send the motherboard back to Supermicro for RMA repairs. device, and name the file "SUPER.ROM" for the recovery process to load the file. saved in a root directory into your USB drive. 3. Once the USB drive LED is on, release the <Ctrl> and <Home> keys. the flashing process until it is completed. CD-RW drive to burn a CD with the BIOS image file in it, and name the file "SUPER. ROM" for the recovery process to load the file. load a BIOS image for Boot Sector recovery. This feature is usually used for embedded systems that rely on a serial port for remote access and debugging. port and "Serial Flash" support embedded in the BIOS image file. systems, and minicom for Linux/FreeSBD, etc.). system that runs the terminal program. 2. Make sure that the new BIOS Image file is accessible for the host system. 3. Start the terminal program on the host system and create a new connection. Use the following communication parameters for the new connection. Bits per second: 115200 bits/sec. 4. Power on your system and click the <Connect> button in the Hyper Terminal. The terminal screen will display the following messages. instructions are also shown below. a. At the prompt, press the <SpaceBar> to update the BIOS. c. Press <y> again to begin flashing BIOS remotely. you have a second or less to do so. that remote flashing is starting and the new BIOS file is being uploaded. File" dialog under the "Transfer" menu, follow the instructions below to complete XModem transfers. a. Select the "Transfer" menu and enter <Send>. b. Specify the location of the ROM file and select the proper protocol (XModem). d. Once the ROM file extraction is completed, the message: "New BIOS received OK" will display. 8. Once remote BIOS flash is completed, the system will reboot. LF' style of line termination. the system is powered on, errors may occur. boot-up process. The error messages normally appear on the screen. 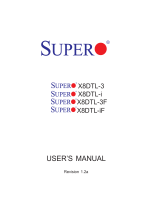 posted on our web site at http://www.supermicro.com/support/manuals. please follow the instructions displayed on your screen to install the OS. the system will start booting up from CD. third-party SCSI or RAID driver" displays. Drive A:," and press <Enter>. the XP/2003 Setup Screen, and press <Enter>. specified, press <Enter> to continue with the installation. the Windows XP/Windows 2003 installation. Setup CD in the CD Drive, and the system will start booting up from CD. 2. Continue with the OS installation. The Windows OS Setup screen will display. Drive during system boot, and the main screen will display. to the right of these items. to change the SATA settings back to your original settings. remote management capability. It includes Remote and Local Management tools. the Figure below for a display of the Supero Doctor III interface. Note: 1 The default user name and password are ADMIN. SDIII settings to be the same as those set in BIOS. 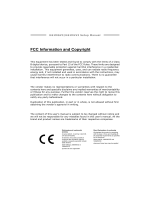 proceedings of any kind arising out of or related to such ultra-hazardous use or sale.